Small LCD screens are usually used for calculators, weighing scales, digital watches and cheap handheld computer games. At MAF you will get to see short films at a resolution of 16×80 pixels! Discover the smallest movie theaters in the world and see for yourself if it is possible to tell a story on a screen that is only a few pixels wide and high. Is it possible to hold the audience’s attention with minimalism in a time of ultra HD and virtual reality? In 2016, Mark Buitenwerf won the audience award for his work ‘The Taste of Light’. 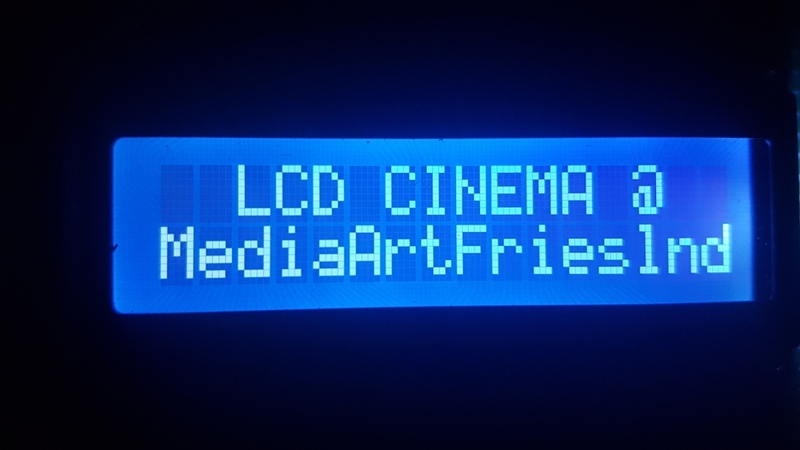 In April, he spent a month at the artist in residency program of AADK in Spain, which is where he developed ‘LCD Cinema’ and the workshop ‘Neon Bodies’. You can read all about his experiences in the beautiful place of Blanca in his blog.